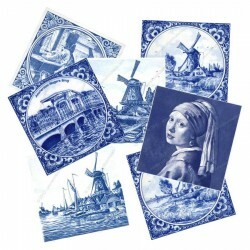 Tiles of typical Holland Sceneries with Windmills, Old Dutch Professions, Famous Painters, Amsterdam Canals in Delft Blue and color. 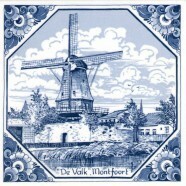 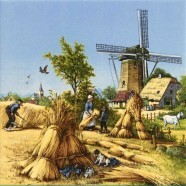 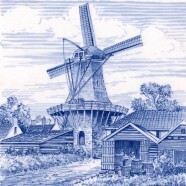 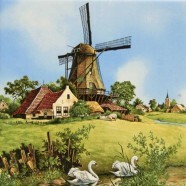 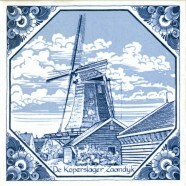 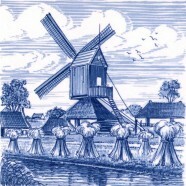 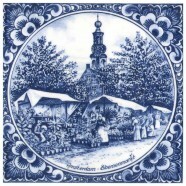 Typical Dutch Landscapes with Windmills, Amsterdam and Sayings on Delft Blue Tiles. 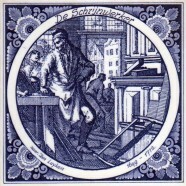 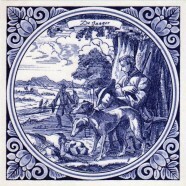 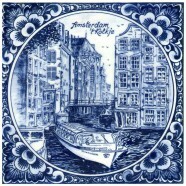 The glazed Delft blue tiles are made in Dutch pottery. 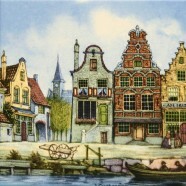 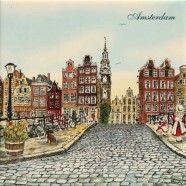 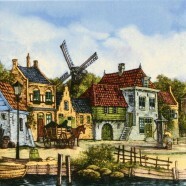 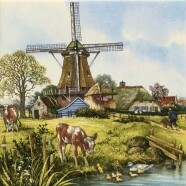 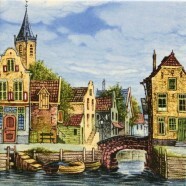 Typical Dutch Landscapes with Windmills and Tulips, Amsterdam Canal Houses and other sceneries displayed on Colored Ceramic Tiles. 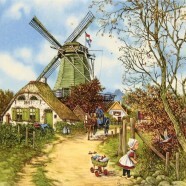 Most sceneries and landscapes are created by the famous Dutch illustrator J.C. van Hunnik. 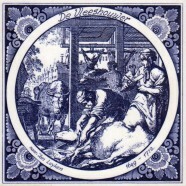 Scenes of Typical Dutch Childs Play on Delft Blue ceramic tiles: Stick horse, rocking, play with marbles, bubble blowing, wrestling, stilts, hoops, whipping balls and so on. 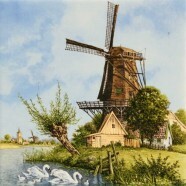 In total 30 different tiles, limited availability.